Hollywood's funny ladies are scoring book deals left and right these days. In a world where memoirs from SNL alums Amy Poehler and Tina Fey deserve — and get — Grammy nods, it's no surprise that everyone wants to know when Amy Schumer's book is coming out. And now we finally have the answer! According to a Tuesday press release posted to the comedienne's website, The Girl with the Lower Back Tattoo staggers into a bookstore near you on August 16. Last September was a big month for Schumer, who scored an Emmy and a multi-million dollar book deal in the same week. Rumor has it that The Girl with the Lower Back Tattoo sold for $8 to 10 million — far, far more than what Tina Fey's Bossypants or Lena Dunham's Not That Kind of Girl went for. Schumer's signature brand of white girl raunch comedy continues to fascinate and appall, and the 34-year-old shows no sign of stopping. 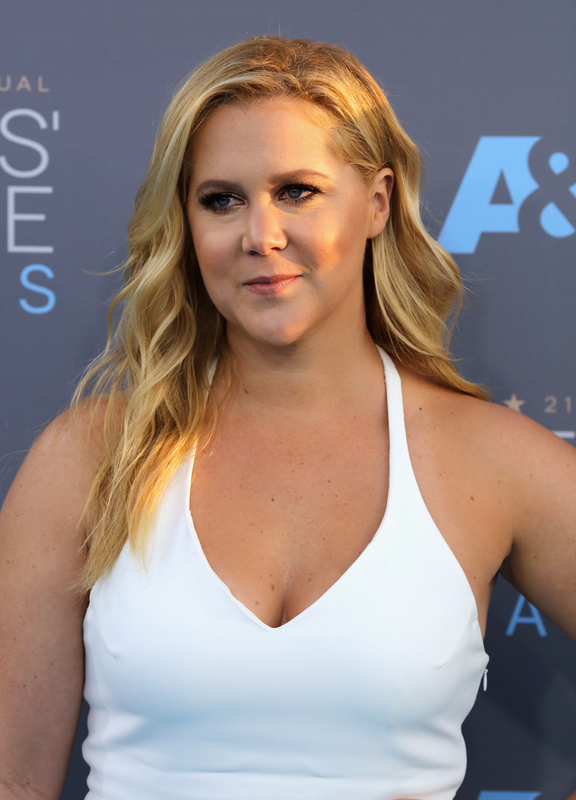 After she wrote and starred in 2015's blue rom-com, Trainwreck, Schumer moved on to filming Thank You for Your Service: a drama about Iraq War veterans with PTSD, based on David Finkel's 2013 non-fiction book of the same name. The Girl with the Lower Back Tattoo is now available for pre-order. You can pick up Schumer's book on August 16 from your favorite book and e-book retailers.